Stress impacts your metabolism, leading your mind and body to crave certain foods. One of the ways many of us deal with stress is eating. Not good. Find a way to relieve your stress and you may find your cravings stop. It is a common belief that if you eat less during the day, you will lose weight. Not so. When it isn’t fueled properly, your body stores fat for energy which, obviously, can lead to gaining. Ideally, aim for 5 small meals spread throughout the day. If you don’t give yourself enough time while eating, you are likely to gain weight. It takes around 30 minutes for your brain and belly to get on the same page and so if you eat too quickly, your brain will not get the signal that you are full and before you know it, you’ve eaten too much. Staying up late can cause an imbalance in the hormones leptin and ghrelin. Leptin is responsible for sending signals to the brain to remind your body that you are full, and ghrelin stimulates hunger. An imbalance here is NOT good if you want to lose weight. Too much caffeine can increase the stress hormone cortisol. Cortisol makes you crave foods that are high in fat and sugar. Plus, the weight you gain from cortisol is carried around your middle which contributes to many ailments like heart disease and diabetes. Processed foods contain high amounts of sugar, fat, salt and preservatives. 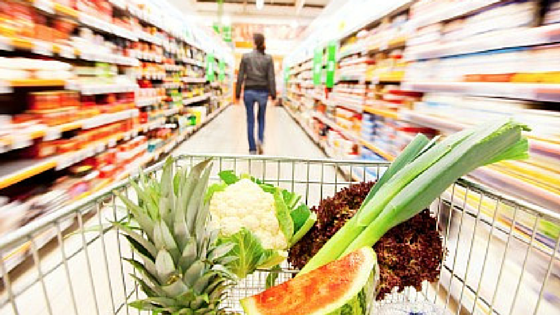 If you make a move to fresh, whole foods, you’ll notice a big difference. Water is one of the most important things we need to function on a daily basis and most of us aren’t getting enough. It helps your metabolism and keeps everything running as it should. If you think you’re drinking enough, you’re probably not. Ditch the soda or juice and grab a glass of water instead. 8. Shopping in the center aisle of the grocery store. Maybe not the center aisle but the aisle that contains all the processed junk. Just don’t do it. Walk right on by. Load up in the produce section instead. Weightloss can be so hard and the traps we call into are often ingrained in our lifestyles. Do you see yourself in this list? Make these moves and I can’t promise the weight will fall off, but it will definitely decrease.